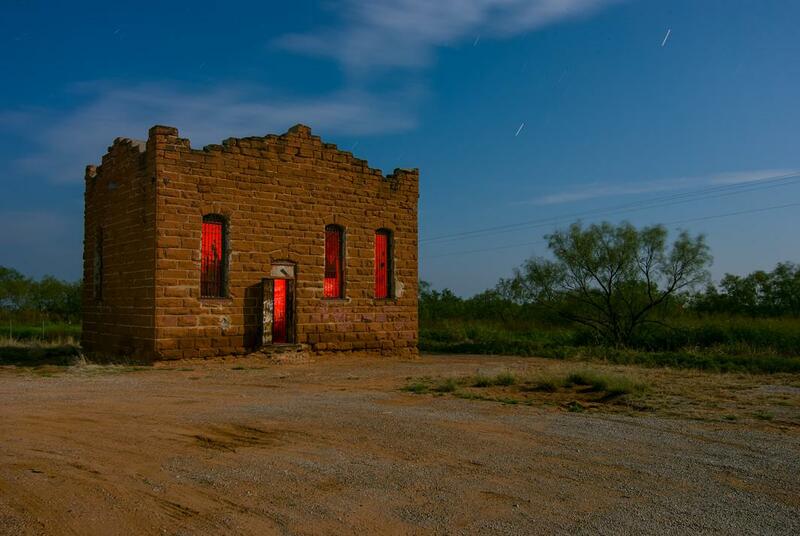 Noel Kerns uses light painting to capture ghost towns by moonlight (PHOTOS). 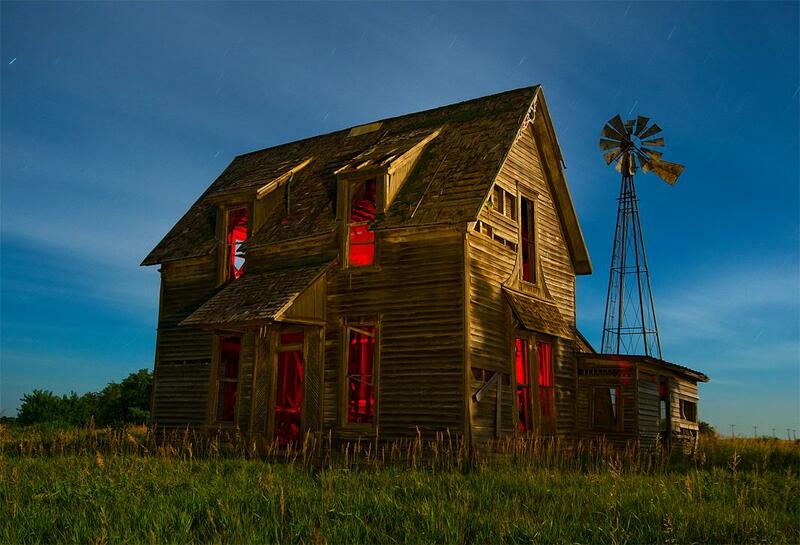 An abandoned farmhouse in central Kansas, a few miles north of a tiny town called Lyons. 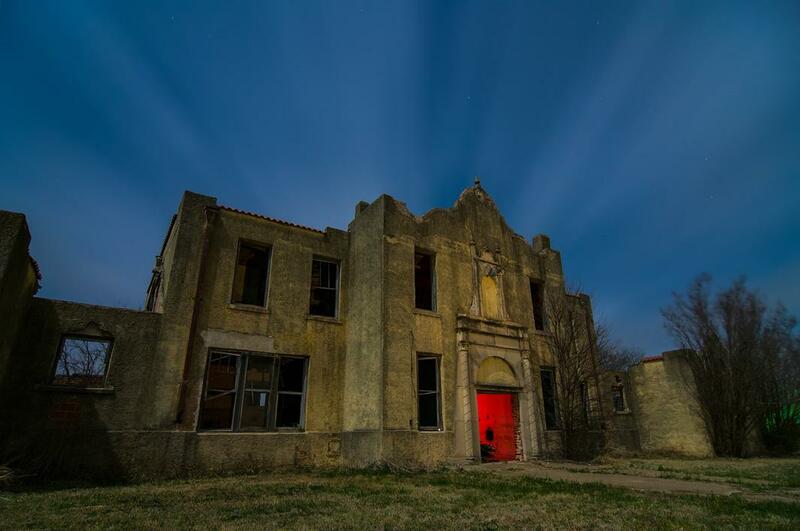 When the full moon rises, photographer Noel Kerns heads out with his camera to photograph some of the spookiest places in Texas and other nearby states. 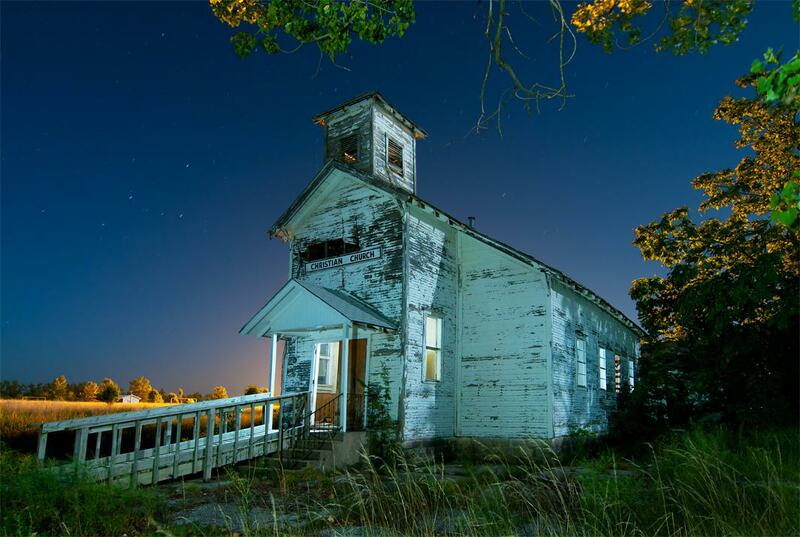 Since 2007, he’s spent many full-moon nights shooting abandoned houses, churches, and other buildings in ghost towns around the country. 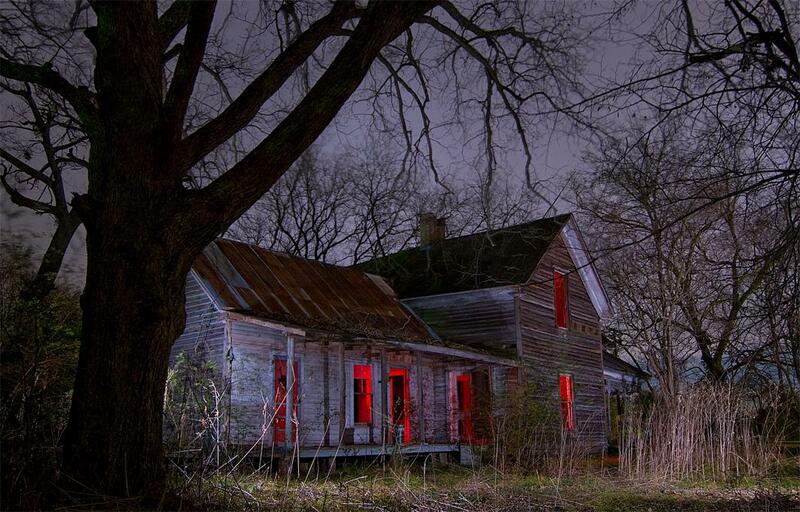 When it comes to abandoned buildings, light painting creates an aura that seems especially apt for the subject matter. “It implies that there’s something going on in the building, but you don’t know what. That creates a haunting or creepy vibe. It’s kind of like a horror movie: You want to watch but you’re scared at the same time,” Kerns said. An abandoned building in Orla, Texas. 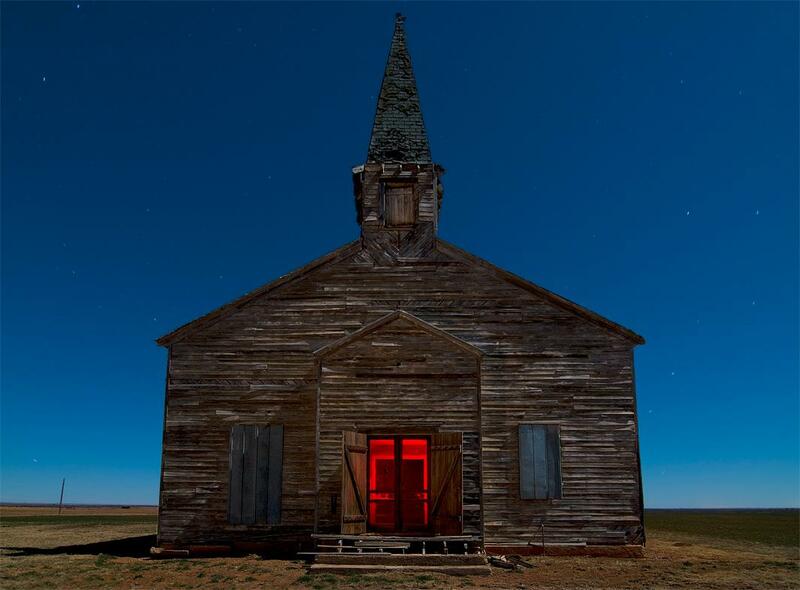 An abandoned “Christian Church” in Picher, Okla.
An abandoned house in Poetry, Texas. An abandoned church in Cee Vee, Texas. The work presents other perils. The floors of old buildings are at risk of giving out. And in the dark, Kerns can’t see whether there are other visitors in the buildings. And then, Kerns said, there are other, less tangible, unknowns. “I’m not one to believe in ghosts or things like that, but I will admit there have been a handful of buildings where there’s been a weird vibe. You feel there’s somebody watching you from the darkness the whole time,” Kerns said. 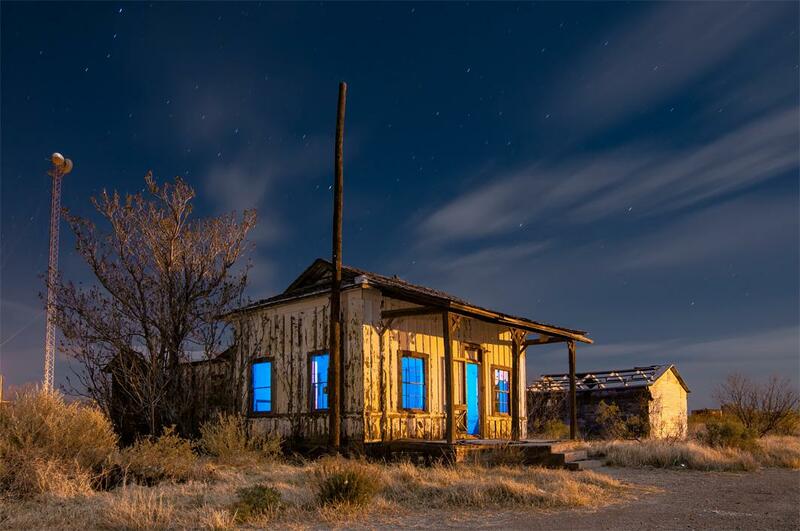 Kerns’ ghost town photographs are included in his book, Nightwatch: Painting With Light. You can follow his work on Flickr. 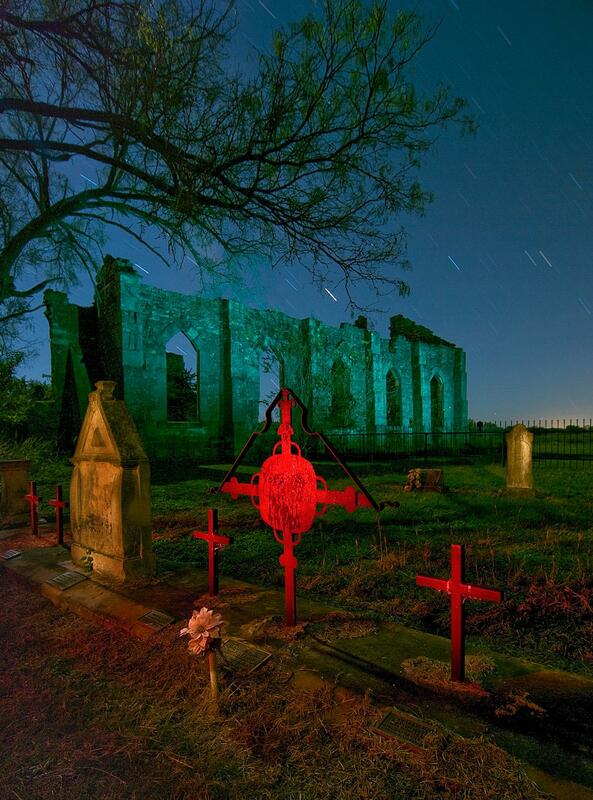 A church and cemetery dating from the 1850s, located just off US-90 in the tiny ghost town of Old D’Hanis, Texas. An abandoned school in Mosheim, Texas. Kent County Jail in Clairemont, Texas. 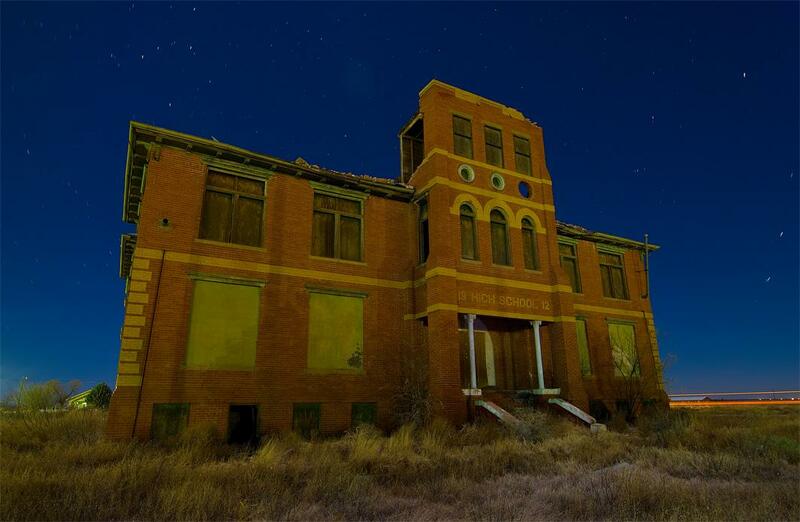 An abandoned high school in Toyah, Texas.